Amongst the pile of subscriptions that arrived on my doorstep this week was my eagerly awaited November Lip Monthly bag! For those who don't already know, Lip Monthly is a monthly subscription service catering to all those lip product obsessed makeup lovers. It's one of the most affordable subscriptions at $10 per month and it's improved a great deal since it started back in May. Wanna try it out for yourself? I'm giving away a November bag to one darling doll so make sure you enter at the end of this post. If you just can't wait though, you can use coupon code HOLIDAYLIPS to get your first month for only $5! Since my last review, Lip Monthly has made some major changes. Most notably, they now have these fantastic makeup bags! They've had some really cute ones and I love the size and design of the November bag! 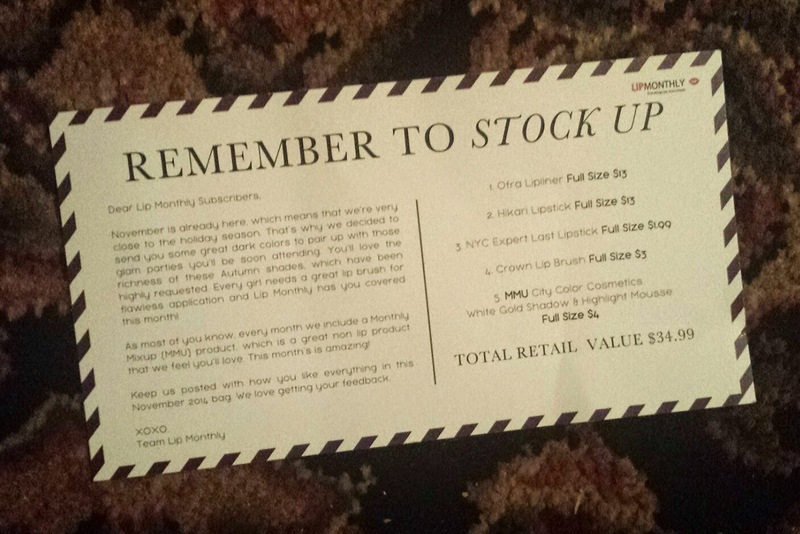 The information card gives you all the details about the items you receive. This month, lip monthly wanted to give subscribers those darker, perfect for holiday party colors. Very season appropriate! 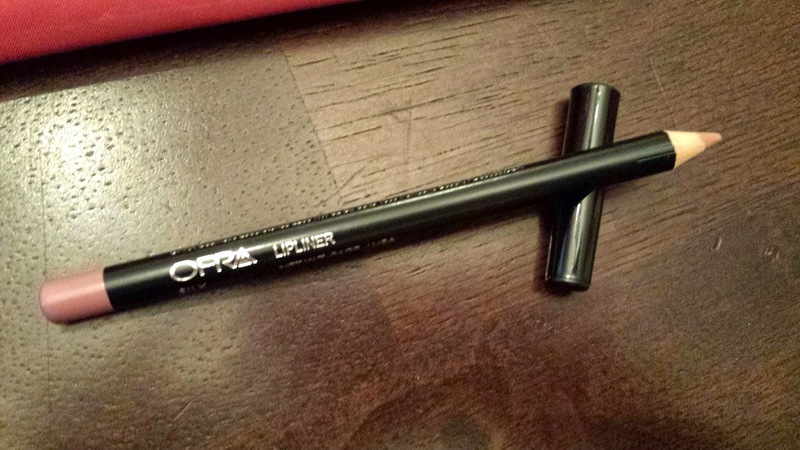 OFRA Lipliner in 'Silk' - $13.00 --- OFRA has been making the rounds in alot of beauty subscriptions lately and I've been pretty pleased with the brand so far. I don't usually use Lipliner but this shade is one I will most definitely be using! NYC Expert Last Lipstick in 'Purple Crush' - $1.99 --- I think we've probably all owned a few NYC products in our time! 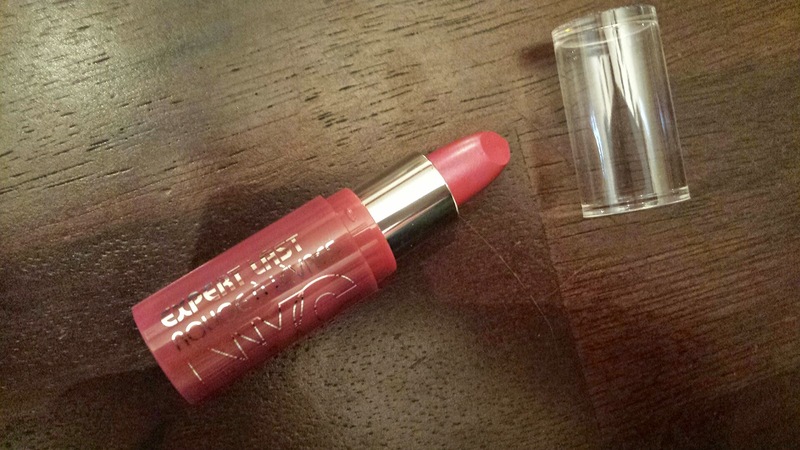 It's a fairly decent formula and the color is a subtle berry shade I actually really like. 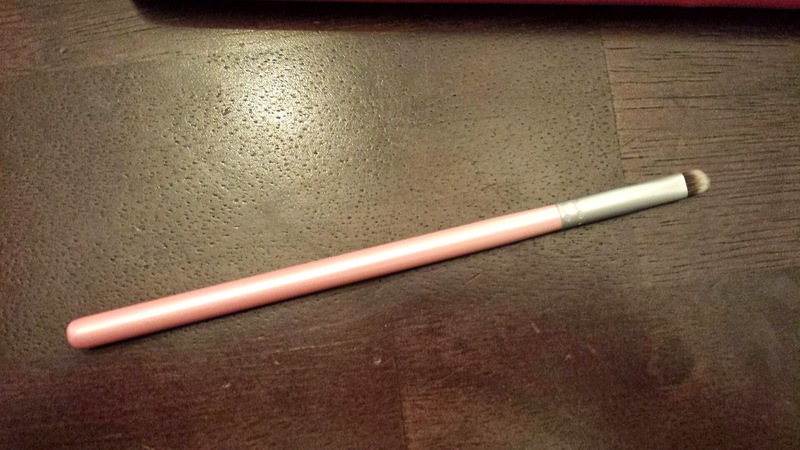 Crown Lip Brush - $3.00 --- A standard lip brush but I can always use more of those! Hikari Lipstick in 'Cabernet' - $13.00 --- This is my favorite item this month. I haven't ever tried this brand but I love everything about it. 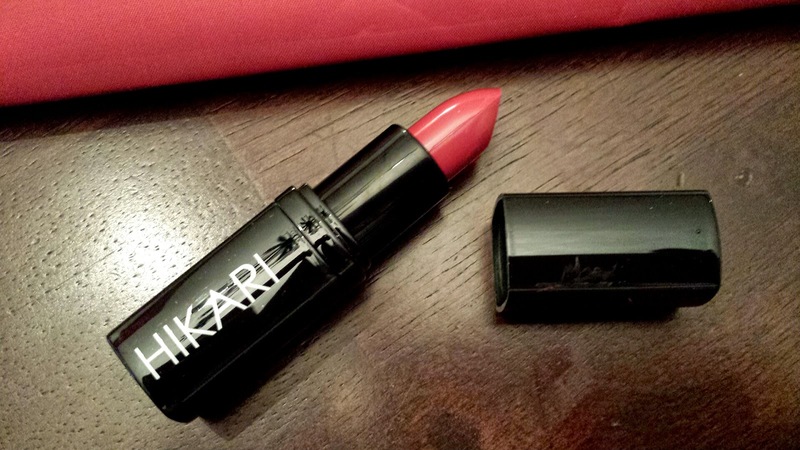 The packaging is sleek, formula is great, and the color is the absolute perfect holiday deep red! It actually perfectly matches the bag color this month! Every month there is also a non lip related 'Monthly Mixup' product. 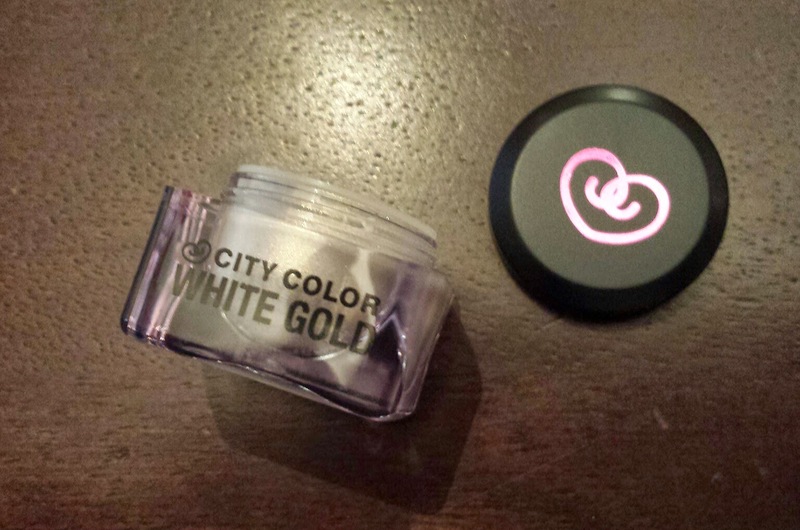 City Color White Gold Shadow and Highlight Mousse - $4.00 --- Yay! I am a total sucker for light catching shadows/Highlighter. This brands quality has always impressed me. The creamy iridescent gold is a serious must have for the holidays. I cannot explain how much I adore this! 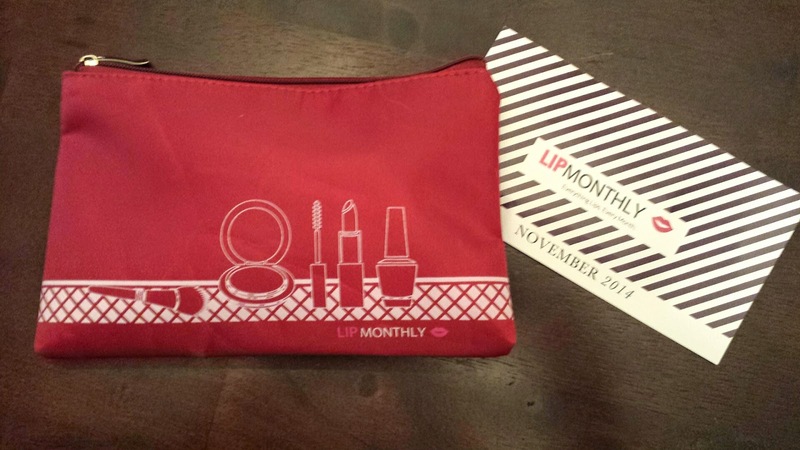 Total value for the November Lip Monthly bag comes to about $35 and I'm so so pleased with it! Great, season appropriate products that will all be getting some heavy use from me! Don't forget to enter below for a chance to win the November bag! 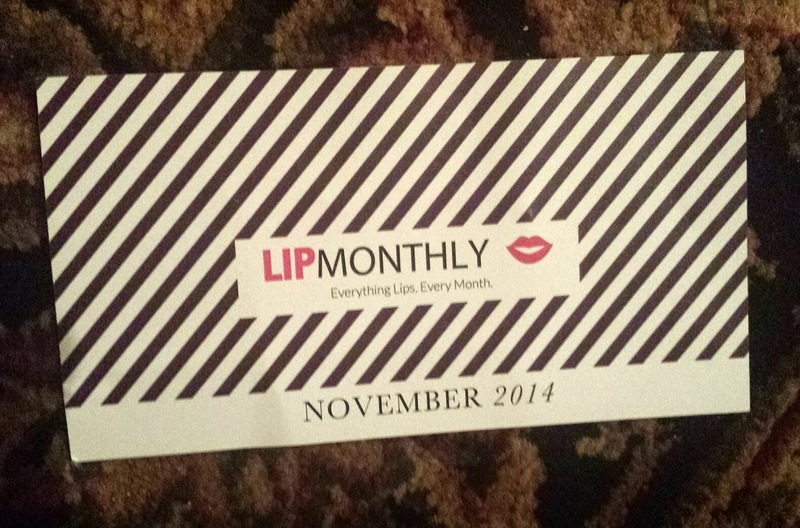 What did you think of Lip Monthly? Share your thoughts below!